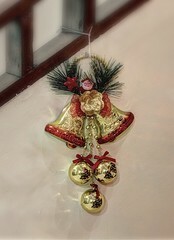 My family just came back from trip to Garut. 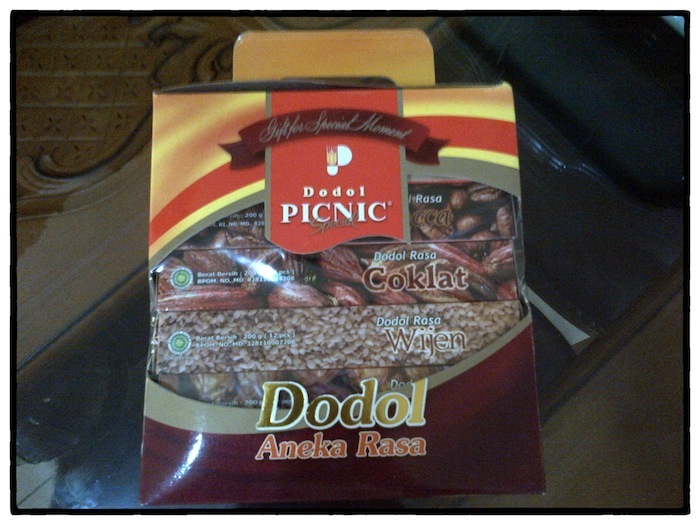 She gave me the famous snacks from Garut which is dodol. 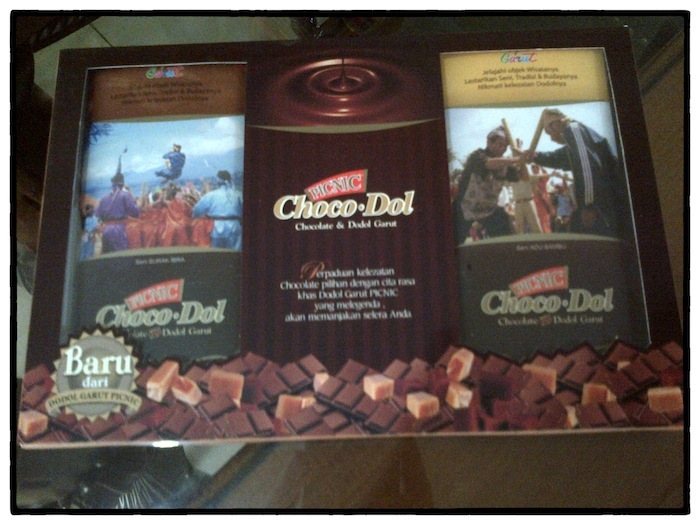 One new innovation from Garut is Choco-Dol which is Chocolate with Dodol inside. 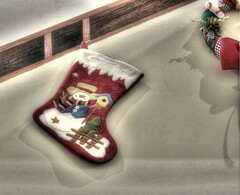 Quite creative.